A single tool for more efficient collaboration. Email is a productivity killer. Reduce emails by up to 43% when using Wire Pro as your collaboration tool. 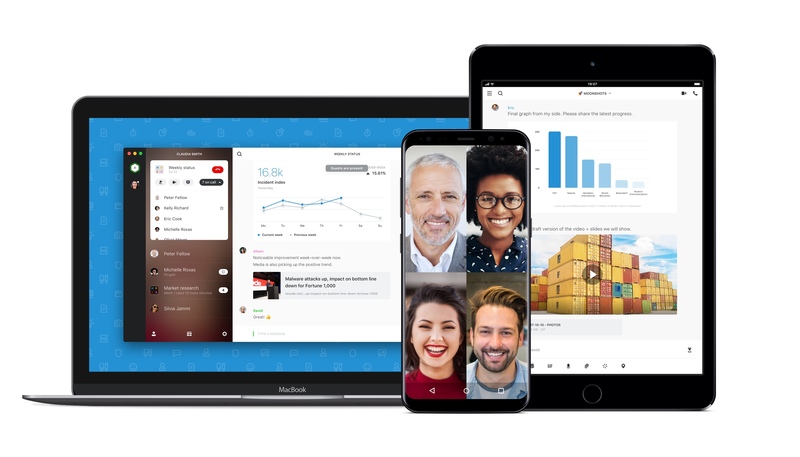 Benefit from personal and group chats, conference calls, and screen- and file-sharing. 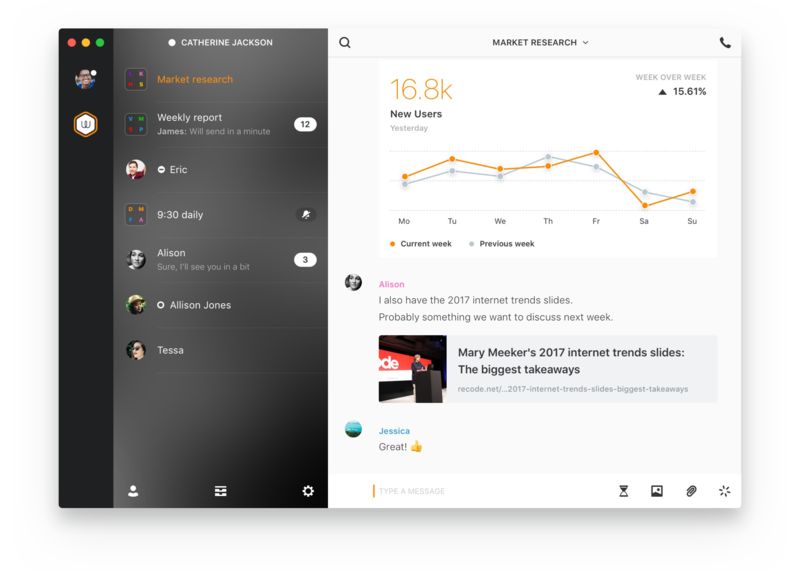 To make collaboration even more efficient, you can use features like availability status, mentions, message reactions, and many more. Conversations bring the team together no matter where. Wire Pro supports multiple devices on mobile, tablet and desktop for one user. Don't compromise on security when talking to external partners and clients, for example when conducting a job interview or agency call. 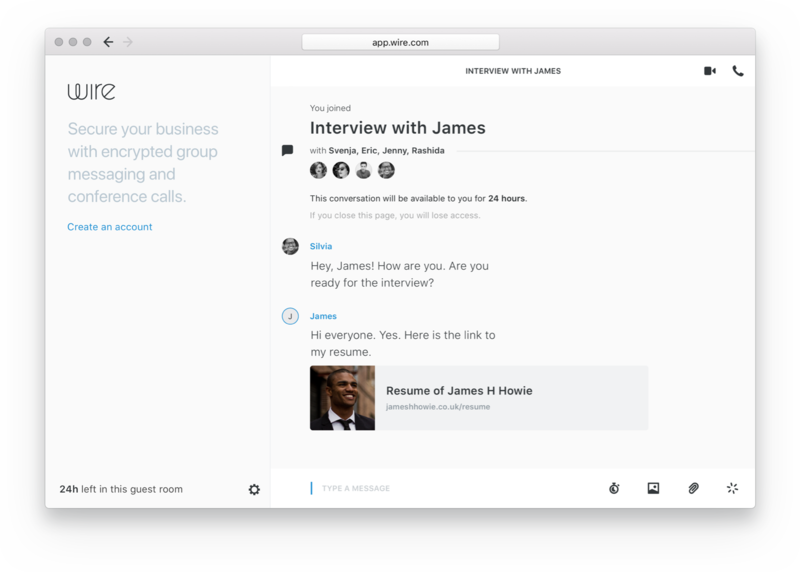 Use Wire Pro's unique guest room feature to collaborate securely with people outside of your team. They don't need a Wire Pro account. Simply invite them to the conversation with a link. You control which conversations you want to share with guests and you can deactivate the feature at any time for any conversation. Conference calls and guest rooms directly translate to less travel costs. Instead of buying multiple tools, Wire Pro covers all your messaging and conferencing needs. Wire Pro offers flexible plans for businesses of all sizes at a fraction of the costs of other tools. Wire Pro helps your business to be GDPR-compliant. With regular email and other non-end-to-end-encrypted cloud providers, you need to seek consent from your customers to share their data with yet another third party. You don't need customer consent with Wire Pro, since all communication is always end-to-end encrypted, and can therefore not be accessed by Wire. This makes it easy to share personal information via Wire Pro. Start your free trial and get user guides, best practices, business case calculator, and security audits to ensure your CIO, CISO, and CFO all understand the advantages. You can also speak to our experts to learn more about how Wire can help your organization.